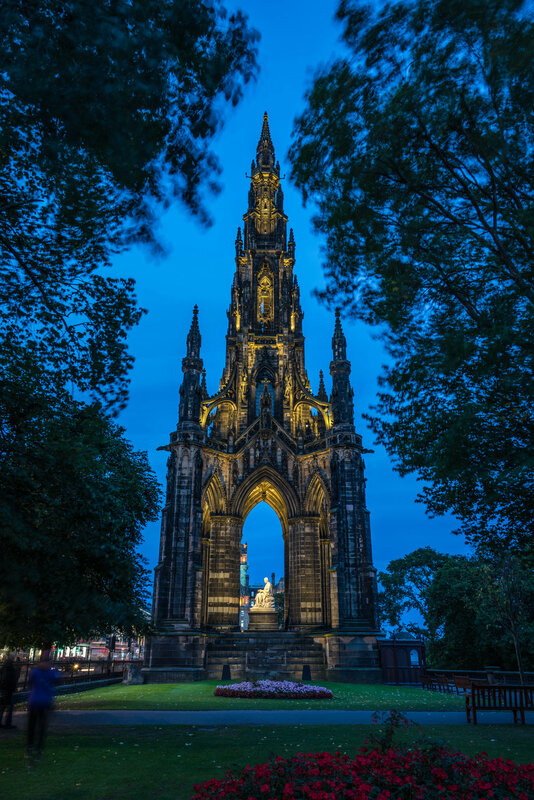 The intricate Scott Monument in the centre of Edinburgh is over 170 years old, has 287 steps, and is a stunning feature of the Edinburgh skyline. 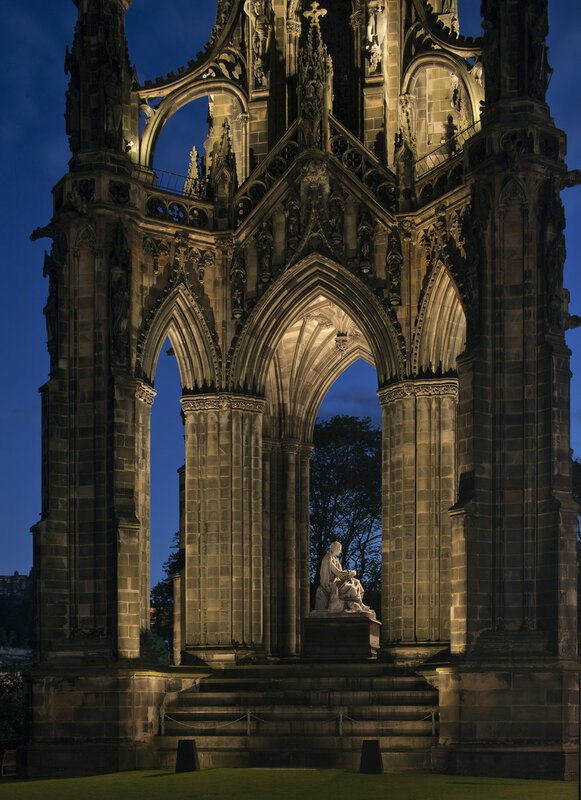 KSLD was chosen to provide this beautiful Gothic structure with the lighting that both it and the City of Edinburgh deserves. The detailed figures and features of the monument provided the main inspiration and focus for the lighting scheme. However, early tests showed that the masonry projected a greenish hue under certain lights. 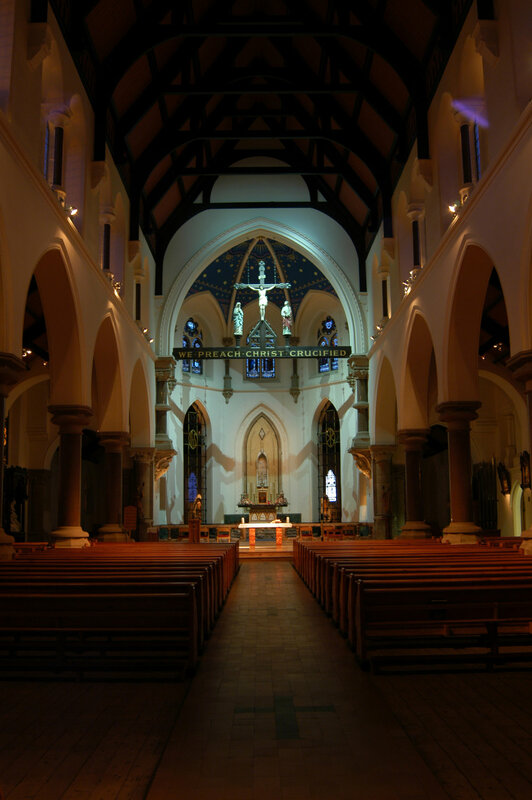 After careful research, a Xicato separated phosphor luminaire was chosen to enhance the sparkle within the stonework. The second challenge was the historical nature of the monument itself. The masonry is immensely fragile, and restricted us to using existing mounts, working to avoid additional punctures that could cause cracking or structural issues in the future. 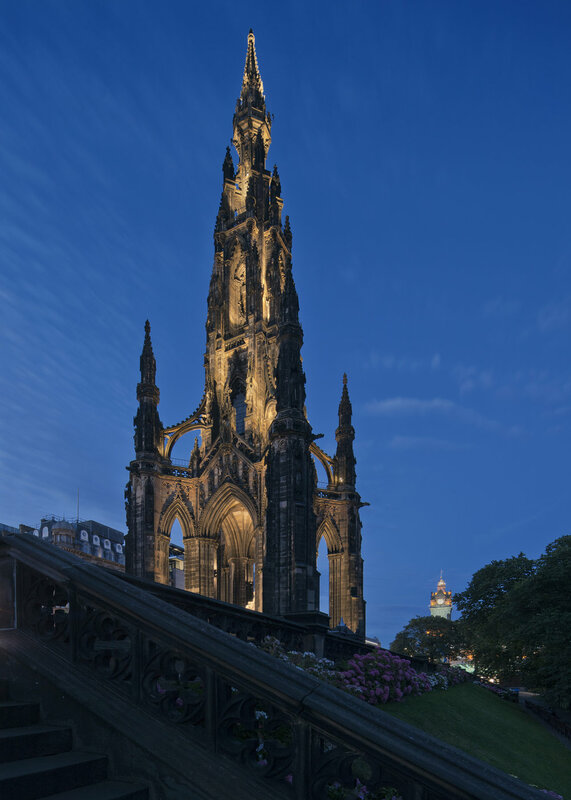 Custom bollards now illuminate the base of the monument, linking the structure to its urban surroundings. The majority of luminaires were locally designed and fabricated. All can be maintained and accessed from the monument itself without additional scaffolding, and each beam was carefully focused by hand. 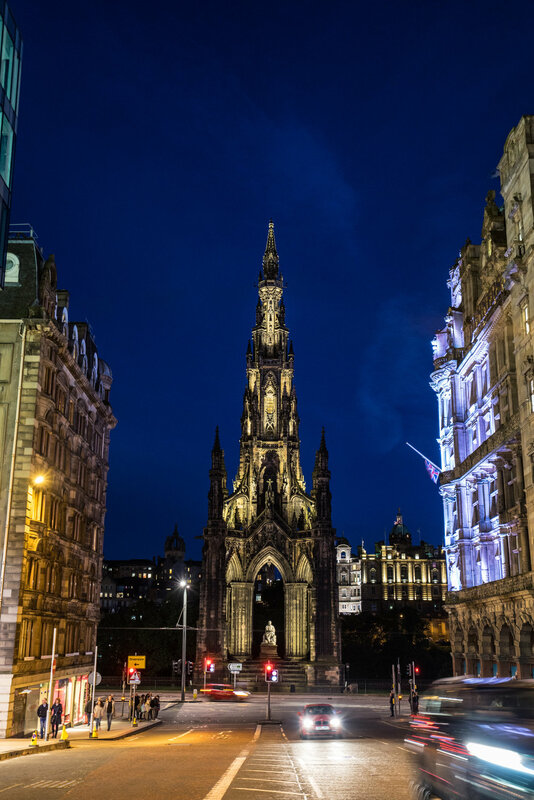 Watt per watt, the new scheme has lower energy consumption whilst using more lights to illuminate this magnificent monument.